Buy Nomad glasses from Illuminata Eyewear in Etobicoke, Toronto and Mississauga to receive life time service and post-warranty care. 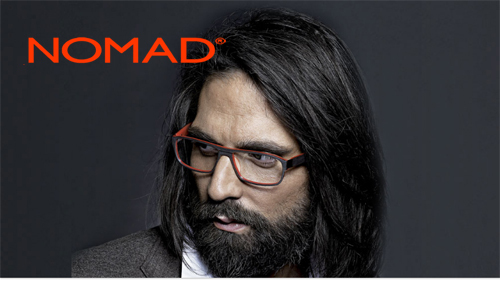 Nomad is one of the reputable eyewear brands owned by Morel Lunettes- a French eyewear creator that has been around since 1880. Nomad glasses are best described as “Frames inspired by contemporary and trendy places, for men and women who are citizens of the world.” Styles for men and women range from “Cosmopolitan” to “Contemporary” collections, and are favored by customers who are looking for durable, sleek, and quality glasses without much branding on the frame. Purchase Nomad eyewear styles from Illuminata Eyewear, your devoted opticians in Toronto and the GTA area.